Brothers and co-founders of nonprofit organization Planet Save Stanley Lin and Spencer Lin attended the Xin Philanthropy Conference organized by the Alibaba Group in Hangzhou China on September 5th as keynote speakers in this year’s theme, “Everyone participates for a better future.” In addition to speaking at the prestigious conference, the brothers were presented an award from a United Nations representative at the conference. Currently, Stanley attends the University of Southern California as a freshman, having graduated from Mark Keppel in the class of 2018. His brother Spencer is still attending Mark Keppel High School as a junior. However, they both look forward to furthering their goal of environmentalism. Before the nonprofit was officially incorporated as a non-governmental organization (NGO), Stanley Lin aspired to be an environmental advocate. Throughout his early teenage years, he frequently witnessed trash in natural settings and the use of non-environmentally-friendly machines like gas-guzzling cars. “[At one point,] there was an active warning at a beach to look out for seagulls because heroin addicts leave [their things] all over the place,” remembers Stanley. Towards the end of his junior year, Stanley had made the steps and completed the paperwork to truly begin the nonprofit. 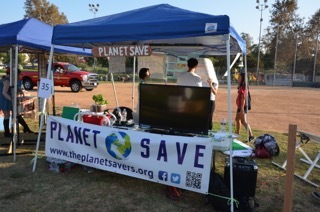 Since its founding, Planet Save has been an active organization attending public environmental events. 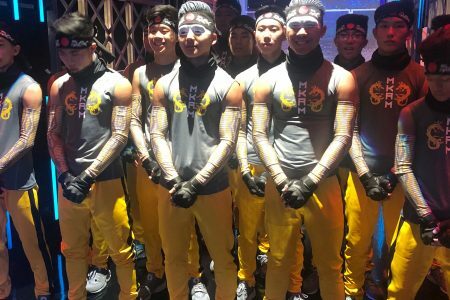 They were featured on CCTV for their work on the Geranium Festival in Monterey Park 2017. As a grassroots organization, the organization remained a relatively small but determined group. Planet Save has been working on a drone project sponsored by FMC Corporation, a chemical manufacturing corporation with a net worth of approximately $12 billion USD. The project consists of developing aerial drones for agricultural usage in watering crops, to be completed in the near future. At the moment, Planet Save has brought in five interns and hopes to bring in more as the organization continues to grow. On September 3rd, Stanley, Spencer, and their parents boarded a plane to Hangzhou, China. After touching down, the Lin family was greeted by an entourage sent by Alibaba Group. Both the Lin brothers knew how to speak Mandarin, which simplified the process of speaking at the conference. In addition, the conference provided listeners with receivers of translations of the speaker’s words. At the conference, the Lin family sat with acclaimed actor Li Lianje (otherwise known as Jet Li) and Chinese business magnate Jack Ma on the same table. Outside the conference, a group of English major college students acted as guides for the Lin family. 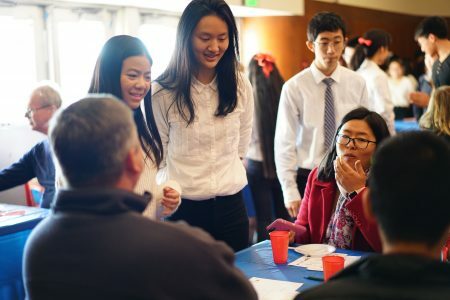 Because the Chinese university system only consists of one test at the end of the year with no projects in between, many students have free time to pursue opportunities like volunteerism and networking. After returning to the U.S., both brothers remain adamant in their goals to forward their nonprofit in more areas. 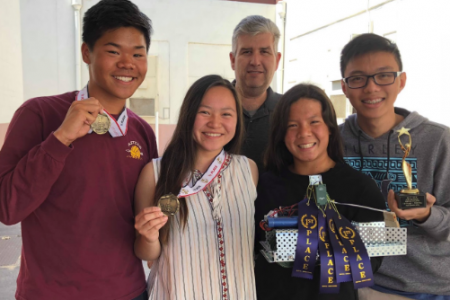 “We would like more people to participate in environmental efforts and we would like high schoolers to have [more] chances for people to lead this effort too,” says Spencer. Despite their exhilarating fame in Hangzhou, the Lin brothers still needed to return to their normal lives at school. Stanley and Spencer both had homework upon their return. However, their experiences in China remained as a critical moment in their lives. “The people of the future are us; it’s you, it’s me, high schoolers, college students… It’s really us. And it’s up to us to create an environment that is [sustainable]… because [with] how it’s being handed to us, it’s not in a good state,” says Stanley.